Several species of coastal dolphins occur in the GBR region. Bottlenose dolphins Tursiops spp. 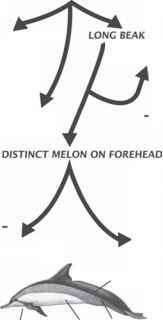 occur in both coastal and pelagic waters in the GBR region. The Indo-Pacific humpback dolphin, Sousa chinensis (Fig. 30.1), and the Australian snubfin dolphin, Orcaella heinsohni, occur in small populations mainly close to the coast and estuaries. Recent morphological and genetic studies of the genus Orcaella have revealed that Australian snubfin dolphins populations (Fig. 30.2) are a separate species from the Asian O. brevirostris. The species level taxonomy of humpback dolphins is unresolved and the humpback dolphins that occur in northern Australia are likely to join the Australian snubfin dolphin as the only cetaceans endemic to Australian waters. Thus, both species have extremely high biodiversity value at a national and international level. 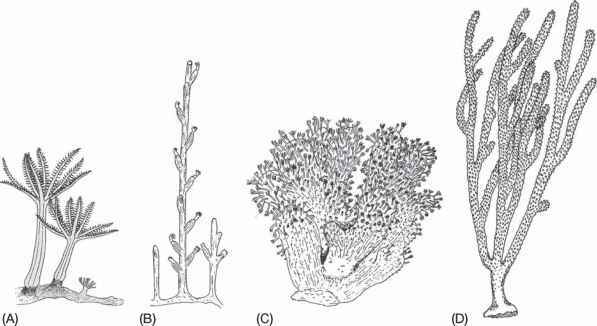 However, comprehensive research on these species in Australia has only been undertaken in Queensland, particularly in Cleveland Bay near Townsville. 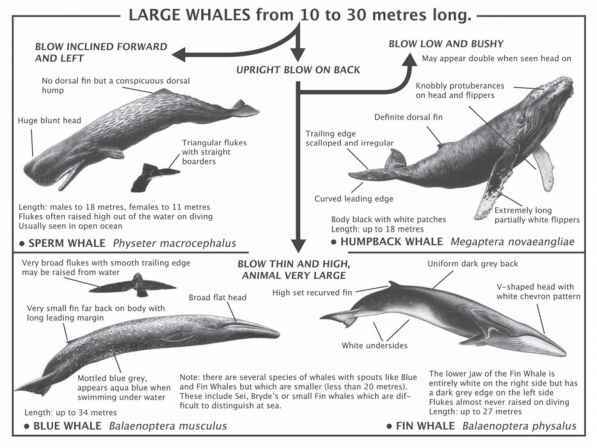 MEDIUM SIZED WHALES from 5 to 10 metres long. • BOTTLENOSE DOLPHIN Tursiops spp. rus without the long tusks. Growing to a length of up to about 3 m, the dugong is the only extant plant-eating mammal that spends all its life in the sea. 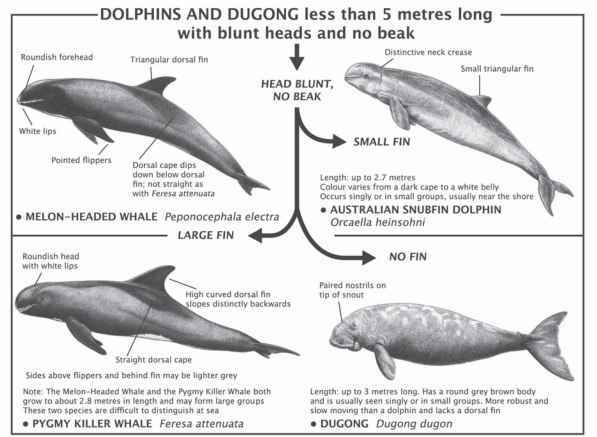 Dugongs can be difficult to distinguish from Australian snubfin dolphins in the wild, especially as both species often occur in inshore turbid waters. Dugongs surface very discreetly, often with only their nostrils showing above the water. Dugongs tend to move more slowly than dolphins and the lack of a dorsal fin is their most distinguishing characteristic for observers at sea. Adults are grey in colour but may appear brown from the air or from a boat. Older 'scarback' individuals may have a large area of unpigmented skin on the back above the pectoral fins. The dugong's head is distinctive with the mouth opening ventrally beneath a broad, flat muzzle. The tusks of mature males and some old females erupt on either side of the head. There are two mammary glands, each opening via a single teat situated in the 'armpit' or axilla. The mammaries are somewhat reminiscent of the breasts of human females, which probably explains the legendary links between mermaids and sirenians. The tail of the dugong is triangular like that of a whale. The dugong mainly occurs in the coastal waters of the GBR lagoon where its distribution is broadly coincident with that of its seagrass food. It is seen up to about 100 km offshore inside the reef in the northern GBR region in the summer.